Exploring the country of Bolivia is an amazing way to see the heart of South America. Surrounded by countries like Peru, Chile, Brazil, Paraguay and Argentina, Bolivia is a blend of cultures, landscapes and terrain. 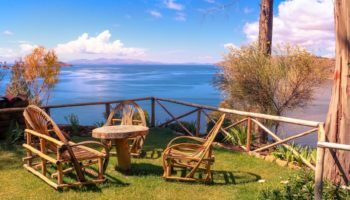 It is also completely landlocked, making it a remote spot in South America where you can mingle with the indigenous people, admire the waters of Lake Titicaca, hike through national parks and thrive in the bustling cities. If you have two weeks, use this Bolivia itinerary to help you make the most of your time in the country. 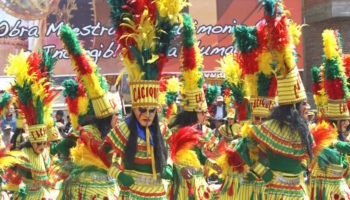 The South American trip of a lifetime begins in La Paz, which serves as the administrative capital of the country. 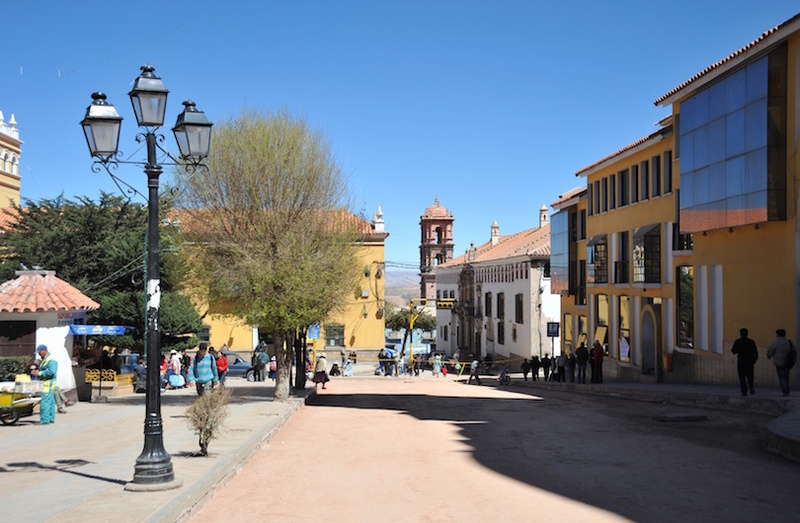 La Paz was founded in the 16th century, and much of the original architecture remains. If the air feels different, it is because La Paz boasts an incredibly high elevation of over 4,000 meters (13,000 feet) above sea level. 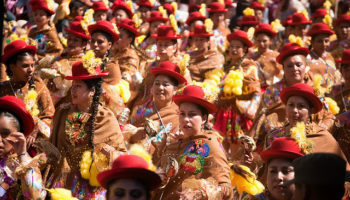 If you want to start your journey by learning more about the history and heritage of Bolivia, be sure to check out the Museum San Francisco, the National Museum of Art and the National Ethnographic and Folk Museum. 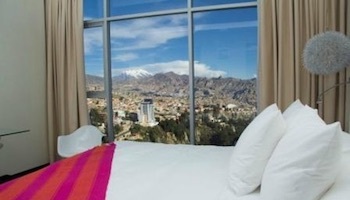 Then, hike up to Mirador Killi Killi for a panoramic view over La Paz, or ride the Teleferico cable car above the city. 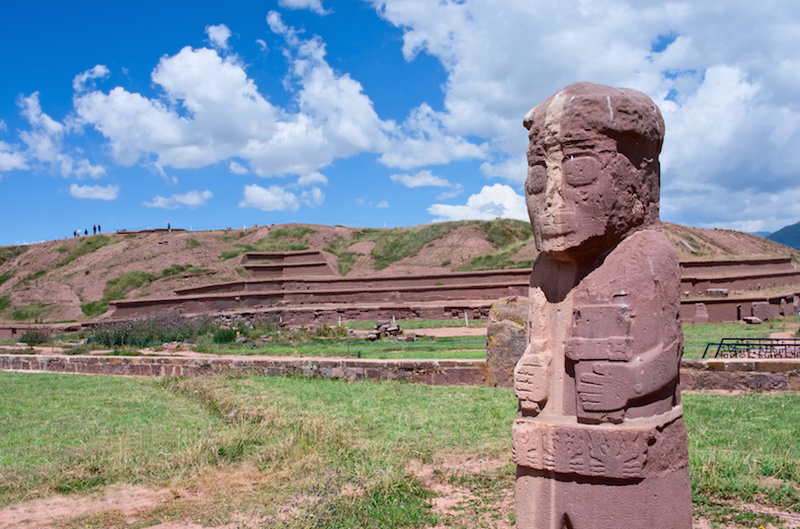 Although there is no shortage of things to do in La Paz, set aside one of your days there to visit Tiwanaku. This archeological site is perhaps the most historically significant attraction in the country, and it easily accessible by public bus or guided tour shuttle from La Paz. 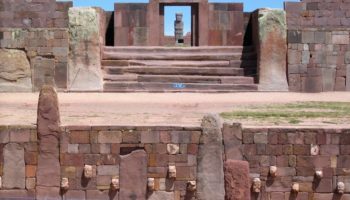 Tiwanaku is what remains of a civilization that predates even the Incas, and it is crafted from stone that today can’t be sourced from the region. As a result, Tiwanaku is shrouded in mystery and is known as the Stonehenge of the Americas. You’ll be free to explore the ground on foot, so come with a camera to take as many pictures as possible. You might know Copacabana as the iconic beach in Rio de Janeiro, Brazil, but the small town of Copacabana in Bolivia is actually where the beach got its name. 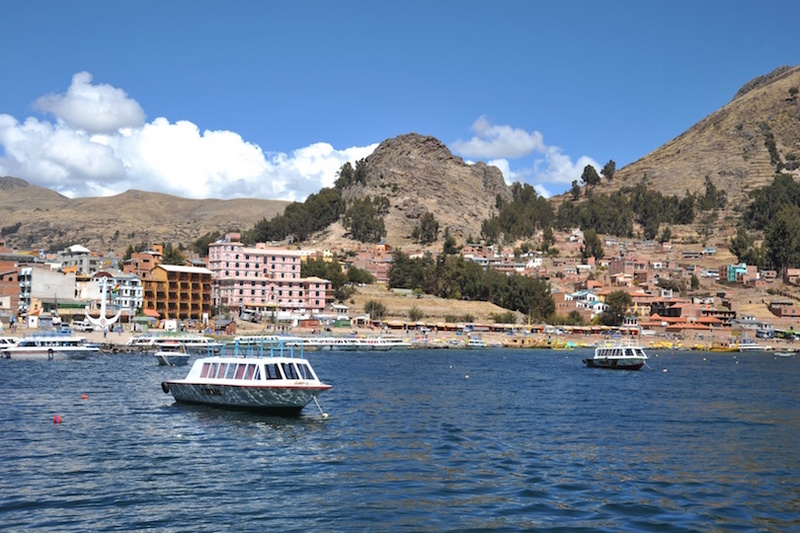 Copacabana is near La Paz, and it is located on the shores of Lake Titicaca. Since Bolivia is landlocked, this is where you’ll find the most popular beaches and resorts in the country. Of course, the lake itself is the highlight of any stay in Copacabana, and climbing the nearby Cerro Calvario gives you a fantastic vantage point over the water. 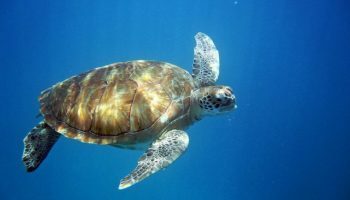 You might also be interested in touring the 17th century Moorish Copacabana Cathedral or the Andean artifacts in the Museo del Poncho. Uyuni is a very small town, and looking at a map will show you that the destination is virtually in the middle of nowhere. 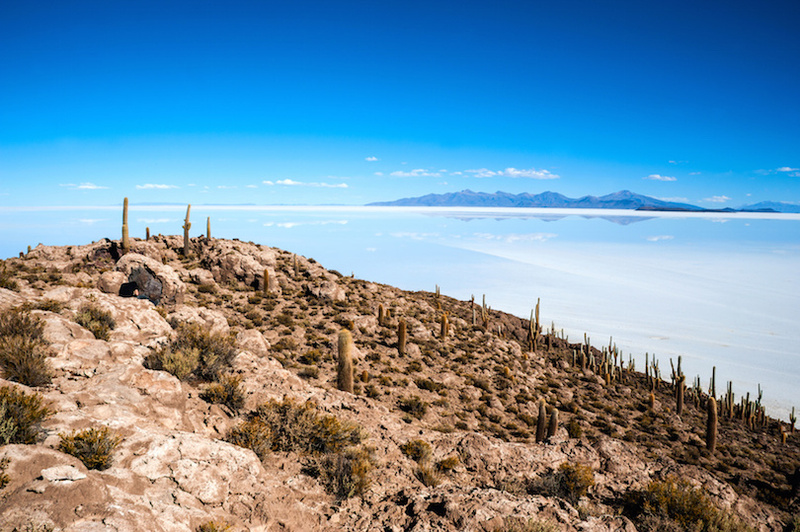 However, Uyuni is actually the most memorable spots on this Bolivia itinerary, thanks to the otherworldly Salar de Uyuni, or Salt Flats of Uyuni. The terrain looks like a desert or an arctic tundra, but the ground is made up of salt that in some places can be more than 30 feet thick. You can visit entire hotels made of salt blocks, visit the active salt mines and spot the bright pink flamingos in Laguna Colorada just minutes from the vast expanse of salty terrain. The city of Potosi is a mining town established in the 16th century after the discovery of silver in the region. The mines of Cerro Rico are by far the richest mines on the planet, and some stories tell of locals using silver to shoe horses and make tools since the precious metal was so ubiquitous. You can still see and tour the mines of Potosi, but you can also see just what the immense silver wealth brought to the city. 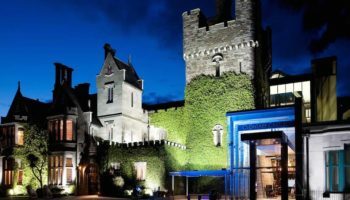 Explore truly grand baroque cathedrals, enormous colonial manor homes and Casa Nacional de Moneda, which used to be a royal mint but is now an excellent museum. 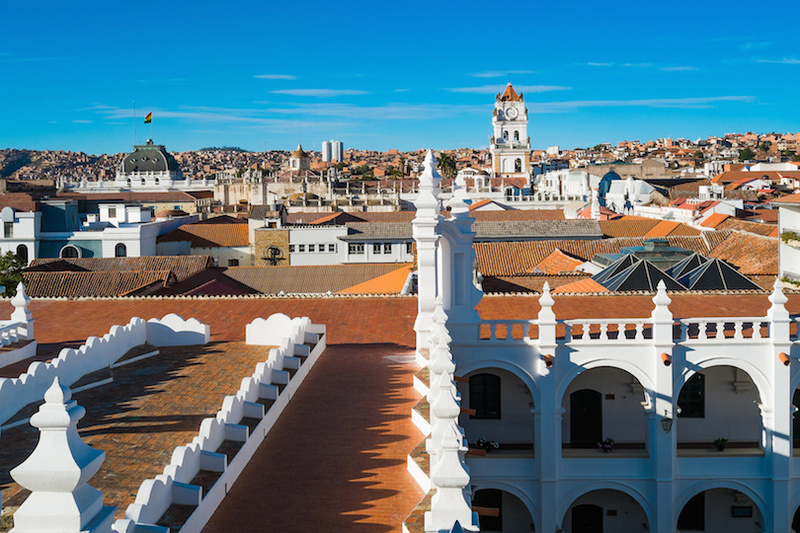 Sucre is known to most Bolivian residents as the la ciudad blanca, or the White City, thanks to its bright white architecture. Sucre was established, in part, as a result of the wealth from the silver mines of Potosi. 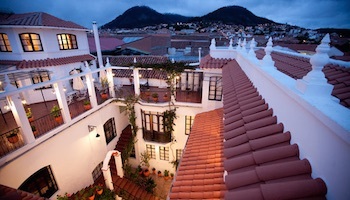 In Sucre, be sure to see the art collection housed in the stunning 19th century Casa de la Libertad, appreciate the grandeur of the enormous Castillo de la Glorieta and tour the Museo de Charcas, which is housed in another magnificent 17th century mansion. 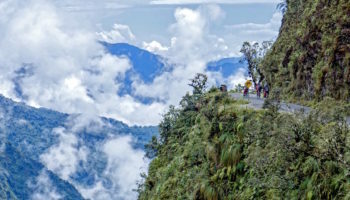 You can also get active outdoors in Sucre by strolling through the scenic Parque Bolivar or hiking to the Seven Cascadas, or waterfalls, that are located just outside of the city. 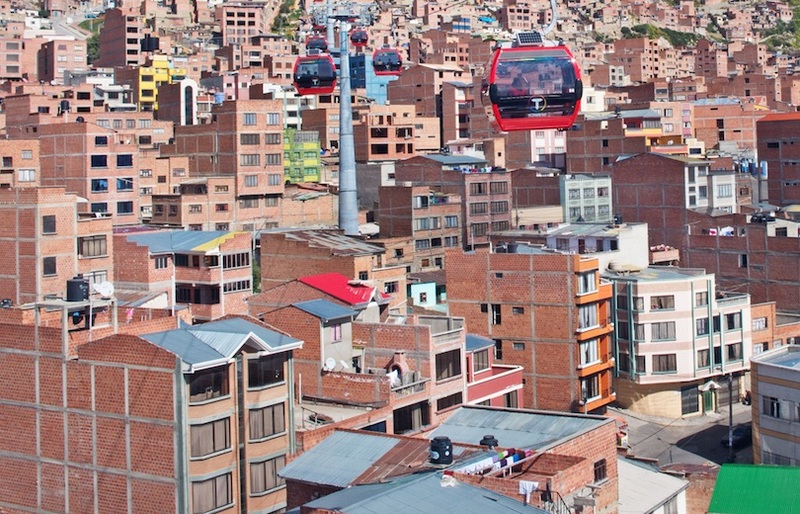 Head back to La Paz for your final night in Bolivia. 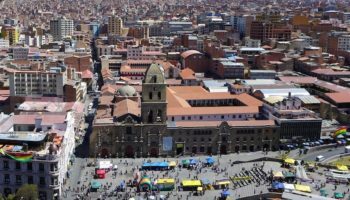 Since you’ve already seen the museums and enjoyed some of the best views, spend some time exploring the great markets for which La Paz is known. 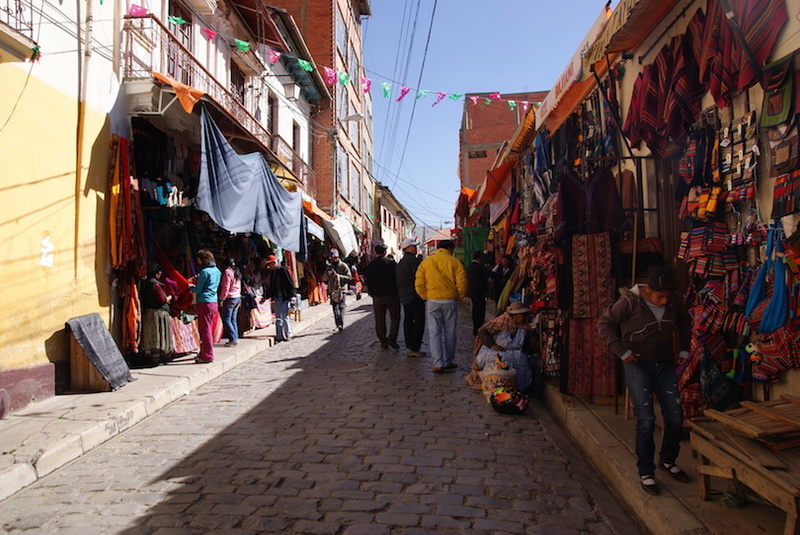 On Sagarnaga Street, which is adjacent to the Plaza San Francisco, you can souvenirs or dine at local cafes. For some more unusual offerings, head over to the Mercado de Hechiceria, or Witch Market, where vendors sell things like dried frogs, llama skins and figurines carved from soapstone. End your stay with a visit to one of the Peñas, or local music cubs, to hear the traditional folk music of the Andean people living in Bolivia. I love all the suggestions here! Was more so wondering how you travelled from city to city. 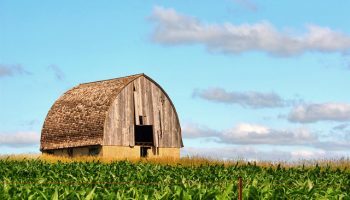 Is there coach buses to book if so what bus companies? I’m looking to travel to Bolivia come end of November into December.